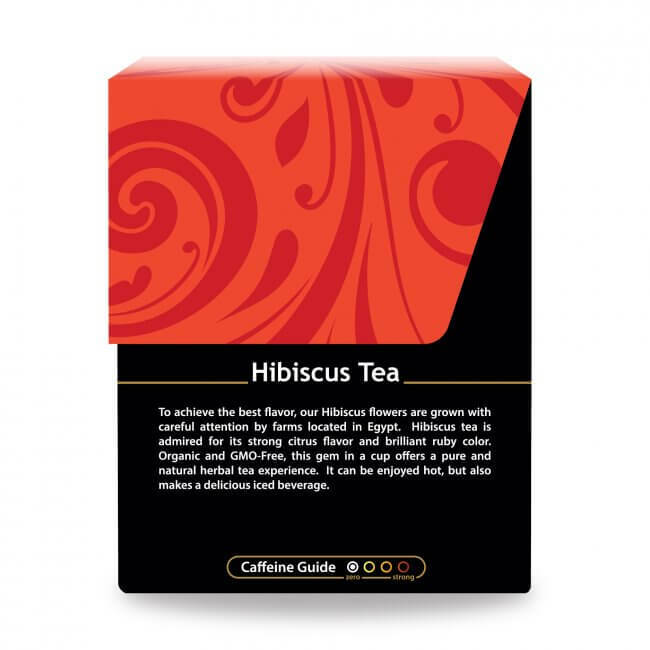 Hibiscus Tea is a brilliant magenta toned tea with a refreshingly tart and tangy flavor. Its benefits can be enjoyed both as a hot tea, or a refreshing iced beverage. You likely recognize Hibiscus Tea by its astonishingly deep magenta color. You probably also have some idea that the tart flavor of this tea indicates it’s loaded with vitamin C and bioflavonoids. What you may not be aware of, though, is that this royal-toned tea also imparts a plethora of other benefits, as well as providing the makings for a superb iced tea. Native to warm, tropical, and subtropical climates, the genus of flowering plants considered hibiscus includes hundreds of varieties in the mallow family. With their large, vibrantly colored petals, hibiscus flowers have become an iconic symbol for a tropical paradise. Hibiscus plants vary in size from little shrubs to small trees. Likewise, their flowers have their own individuality, and come in a broad range of colors and sizes, with red being one of the most popular. Hibiscus blossoms are the national flower of South Korea, Malaysia and Haiti. They also have spiritual significance, and play an important part in Hindu ceremonies. Though many may find it surprising, in many parts of the world these beautiful flowers are edible, and are served dried, or coated in sugar. Colorful anthocyanins, the most recognizable member of the bioflavonoid phytochemicals, give Hibiscus Tea its vibrant color. Anthocyanin pigments are famous for their free radical-scavenging capabilities, which support the claim that drinking Hibiscus Tea on a regular basis offers the consumer protection against a host of potential conditions. The first thing you’ll notice about Buddha Teas Hibiscus Tea is its intense color, reminding one of garnets, or perhaps a glass of Côte-du-Rhône wine. This tea, however, is well known as iced tea, and regularly served throughout warm summer months. Often served sweetened, as the tartness lends itself to such additions, it can also be enjoyed naked. A good boil is recommended, and depending on how intense you like your hibiscus either 1-3 minutes for a mild flavor, or about 4-5 minutes if your taste buds crave a bit of tart. You’ll be encouraged to include your favorite sweetener, if sweet’s your thing. 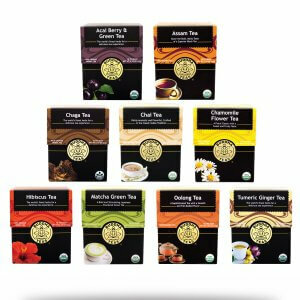 Or try experimenting with other flavors; we love adding our spicy and ever-versatile Ginger Root Tea, but Chamomile Flower Tea, and Hyssop Tea, are fantastic options as well. If you are keen on the flavor of mint, we like to enjoy our Hibiscus Tea iced or hot with a blend of Spearmint Tea . 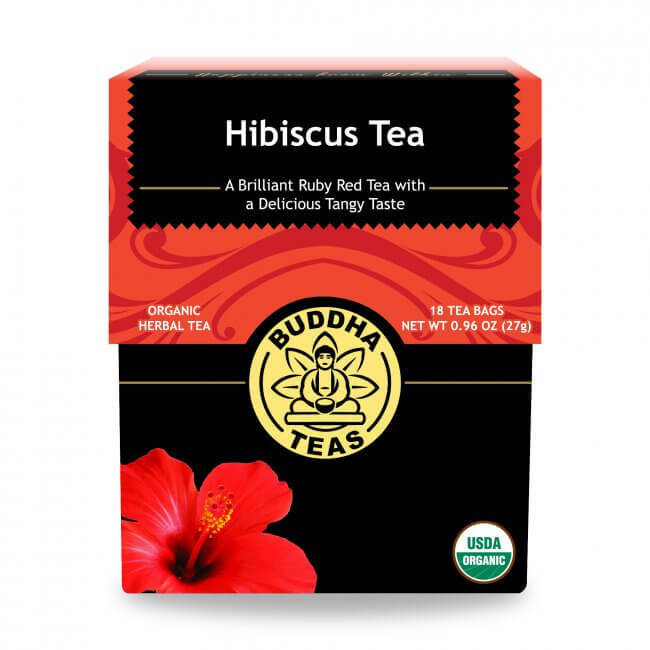 Hibiscus Tea is a Buddha Teas favorite, and you may soon find it to be a favorite of yours as well. Buy a single box and enter a coupon code to save, or buy in bulk to save even more. You can mix and match this tea with some of your other favorites for a bit of variety. As always, orders of $50 or more are eligible for FREE shipping. Review Title: Flavorful hibiscus taste. I love this tea. I love hibiscus tea, and every other tea I'd tried was too sweet and/or bland. I'd almost given up hope for a flavorful hibiscus. This is a recurring order for me. 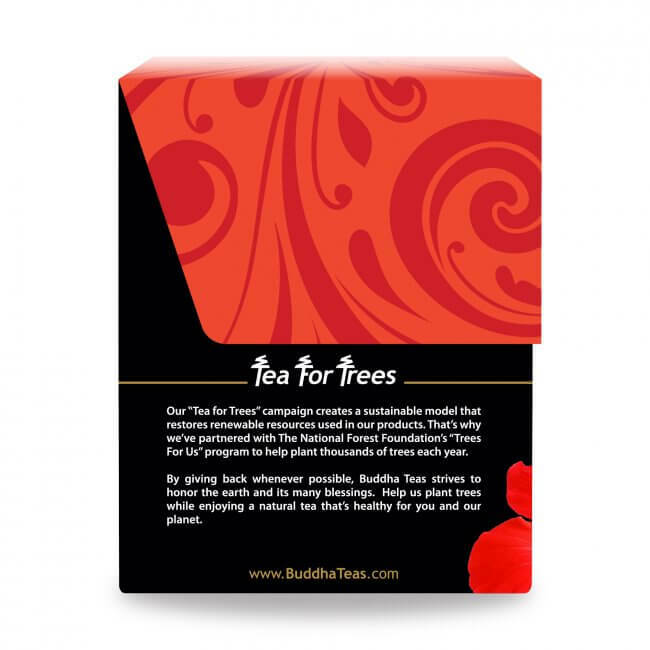 I buy a variation of Buddha Teas, and can only say that not only is the service excellent, but also the teas are great in taste, good quality, attractive packaging. It is also well packed and shipped. I am a very happy customer. Review Title: Hibiscus tea for your health! My husband and I started drinking Hibiscus Tea to combat blood pressure and cholesterol. ... 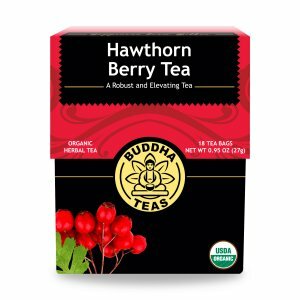 This tea has many benefits for the cardio system, and is delicious!!! I am not an authority on tea so I cannot speak to the validity of the health claims, but I know what I like. I have tried several varieties from Buddha Teas and I have enjoyed them all, but this is up there with my favorites. Great taste, great color, great quality. And I would like to thank everyone @ Buddha Teas for their wonderful service. Well done! Was able to first try in a restaurant and fell in love. It is now my new favorite tea. Extremely tangy, bitter and robust. I drink it strictly for health reasons so I don't add any thing to alter the flavor, it will most definitely get you up. Great Tea, fast service. What's not to love?